Description About The Author:- Mrs Deepa Chandran is a Doctoral candidate in the Centre for the Study of Regional Development, School of Social Sciences, Jawaharlal Nehru University, New Delhi. She is a Senior -Research Fellow of CSIR and has also successfully completed summer school under the DAAD programme in the Technical University of Kaiserslautern, Germany in 2011. At present she is working under the guidance of Prof B.S. Butola on marginalisation of tribal communities in Kerala through a case study of a widely appreciated poverty alleviation Mission in Wayanad district. Other areas of her research interest are regional development, urban planning, poverty, and marginalisation. She has presented several papers in various national and international conferences. Besides, she has three publications to her credit at present while several other articles are under review. This book is the M.Phil dissertation submitted by the author to Jawaharlal Nehru University under the guidance of Prof Atiya Habib Kidwai.Contents:- Contents # List of Tables, List of Figures, List of Maps, Preface, Acknowledgements, List of Abbreviation, 1. Introduction, • Urban Development in India • Statement of the, Problem • Objectives of the Study • Research, Questions • Literature Review • Role of the State, in Urban Development • Data base • Methodology, • Study Area • Chapter Scheme of the Study, 2. Progress of Jawaharlal Nehru National, Urban Renewal Mission (JNNURM) in India, • Jawaharlal Nehru National Urban Renewal, Mission (JNNURM): An introduction • JNNURM, and Sub-missions • Strategy of the Mission •, Expected outcomes of JNNURM • Urban, governance reforms under JNNURM • JNNURMThe, cities under the Mission • Fund allocation, under the various categories of cities • Funding of, the Mission projects • Mechanisms under, JNNURM to ensure efficiency • Allocation of funds, under JNNURM in the CDPs of the cities, • Performance of the states under JNNURM•, Overall performance of the states under JNNURM, Developmental Transformation of Urban India, • Performance of the states under the Sub-, Missions •Performance of the Mission cities, under JNNURM • Total Mission funds released, • Ratio between the shares of funds released and, population • Release of funds under UIG • Total, projects completed under UIG • Release of funds, under BSUP • Urban governance reforms under, JNNURM • Critical evaluation of the Mission, reforms • Challenges of the Mission • Conclusions, 3. Urbanization, Urban Infrastructure and, Urban Governance in Kerala, • Kerala •Urbanization in Kerala • Urban, infrastructure in Kerala • Level of urban, infrastructural facilities in Kerala • JNNURM in, Kerala •Investment plan under JNNURM •, Population distribution within the CDP areas of, Mission cities • Progress of Urban Infrastructure, and Governance (UIG) in Kerala • Progress of, Urban Infrastructure and Governance in Kochi •, Fund allocated under UIG in Kochi • Progress of, Urban Infrastructure and Governance in, Thiruvananthapuram • Fund allocated under UIG, in Thiruvananthapuram • Comparative progress, of UIG in the Mission cities of Kerala • Challenges, of Urban Infrastructure and Governance (UIG) in, Kerala • Conclusions, 4. Basic Services and the Urban Poor in Kerala, • Introduction• Kudumbasree and poverty, alleviation in Kerala • Structure of Kudumbasree, • Role of Kudumbasree in Basic Services for the, Urban Poor • Slums in Thiruvananthapuram and, Kochi • Slums in Thiruvananthapuram • Slums in, Kochi • A Socio-economic analysis of the slums in, Kochi and Thiruvananthapuram • Economic, condition of the slum population • Legal ownership, of land • Common people's participation in, decision making • User charge payment, 133, 179, Contents 9, • Coverage of the households under previous, developmentalSchemes • Preference of the households, for 'in situ' slum development • BSUP in the, Mission cities of Kerala • Progress of BSUP in, Kochi • Progress of BSUP in Thiruvananthapuram, • Comparative progress of BSUP in the Mission, cities of Kerala • Challenges of BSUP in Kerala •, Conclusions, 5. Conclusions and Policy Suggestions, • JNNURM- At state and city levels • Progress of, Urban Infrastructure and Governance (UIG) in, Kerala • Progress of Basic Services for the Urban, Poor (BSUP) in Kerala • Policy suggestions from, the study • Suggestions for JNNURM (All India, level) • Suggestions specific to Kerala, Bibliography, Appendix, Field Survey questionnaire, Index,.About The Book:- The Socio-Economic-Political Milieu Of The Urban Areas In The Country Has Undergone Transformation At A Mammoth Scale In The Recent Decades Especially In The Years After The Introduction Of Economic Reforms. Jnnurm Was Initiated In 2005 As A Response To The Late Realisation By The Government Of India That The Haphazard And Unsustainable Growth Of Our Urban Areas Crippled With Poor Infrastructural Amenities And Highly Inefficient Modes Of Governance Mechanisms Will Prove To Be Very Dear For The Economic Growth Of The Country In Future. Taking Account Of The Large Scale Of The Mission, The Present Study Attempts To Examine The Pattern Of Progress Of Cities States Under The Mission And The Extent To Which The Mission Succeeded In Achieving Its Goals. The Case Studies Of The Mission Cities I.E, Kochi And Thiruvananthapuram Give The Detailed Analysis Of The Ground Realities About The Mission Projects And The Challenges Faced In Various Stages Of Mission Implementation. Besides, The Author Suggests Policy Initiatives Through Which The Functioning Of The Mission Can Be Improved., About The Author:- Mrs Deepa Chandran Is A Doctoral Candidate In The Centre For The Study Of Regional Development, School Of Social Sciences, Jawaharlal Nehru University, New Delhi. She Is A Senior -Research Fellow Of Csir And Has Also Successfully Completed Summer School Under The Daad Programme In The Technical University Of Kaiserslautern, Germany In 2011. At Present She Is Working Under The Guidance Of Prof B.S. Butola On Marginalisation Of Tribal Communities In Kerala Through A Case Study Of A Widely Appreciated Poverty Alleviation Mission In Wayanad District. Other Areas Of Her Research Interest Are Regional Development, Urban Planning, Poverty, And Marginalisation. She Has Presented Several Papers In Various National And International Conferences. Besides, She Has Three Publications To Her Credit At Present While Several Other Articles Are Under Review. This Book Is The M.Phil Dissertation Submitted By The Author To Jawaharlal Nehru University Under The Guidance Of Prof Atiya Habib Kidwai., Content:- List Of Tables, List Of Figures, List Of Maps, Preface, Acknowledgements, List Of Abbreviation, 1. Introduction, • Urban Development In India • Statement Of The, Problem • Objectives Of The Study • Research, Questions • Literature Review • Role Of The State, In Urban Development • Data Base • Methodology, • Study Area • Chapter Scheme Of The Study, 2. Progress Of Jawaharlal Nehru National, Urban Renewal Mission (Jnnurm) In India, • Jawaharlal Nehru National Urban Renewal, Mission (Jnnurm): An Introduction • Jnnurm, And Sub-Missions • Strategy Of The Mission •, Expected Outcomes Of Jnnurm • Urban, Governance Reforms Under Jnnurm • Jnnurmthe, Cities Under The Mission • Fund Allocation, Under The Various Categories Of Cities • Funding Of, The Mission Projects • Mechanisms Under, Jnnurm To Ensure Efficiency • Allocation Of Funds, Under Jnnurm In The Cdps Of The Cities, • Performance Of The States Under Jnnurm•, Overall Performance Of The States Under Jnnurm, Developmental Transformation Of Urban India, • Performance Of The States Under The Sub-, Missions •Performance Of The Mission Cities, Under Jnnurm • Total Mission Funds Released, • Ratio Between The Shares Of Funds Released And, Population • Release Of Funds Under Uig • Total, Projects Completed Under Uig • Release Of Funds, Under Bsup • Urban Governance Reforms Under, Jnnurm • Critical Evaluation Of The Mission, Reforms • Challenges Of The Mission • Conclusions, 3. Urbanization, Urban Infrastructure And, Urban Governance In Kerala, • Kerala •Urbanization In Kerala • Urban, Infrastructure In Kerala • Level Of Urban, Infrastructural Facilities In Kerala • Jnnurm In, Kerala •Investment Plan Under Jnnurm •, Population Distribution Within The Cdp Areas Of, Mission Cities • Progress Of Urban Infrastructure, And Governance (Uig) In Kerala • Progress Of, Urban Infrastructure And Governance In Kochi •, Fund Allocated Under Uig In Kochi • Progress Of, Urban Infrastructure And Governance In, Thiruvananthapuram • Fund Allocated Under Uig, In Thiruvananthapuram • Comparative Progress, Of Uig In The Mission Cities Of Kerala • Challenges, Of Urban Infrastructure And Governance (Uig) In, Kerala • Conclusions, 4. Basic Services And The Urban Poor In Kerala, • Introduction• Kudumbasree And Poverty, Alleviation In Kerala • Structure Of Kudumbasree, • Role Of Kudumbasree In Basic Services For The, Urban Poor • Slums In Thiruvananthapuram And, Kochi • Slums In Thiruvananthapuram • Slums In, Kochi • A Socio-Economic Analysis Of The Slums In, Kochi And Thiruvananthapuram • Economic, Condition Of The Slum Population • Legal Ownership, Of Land • Common People'S Participation In, Decision Making • User Charge Payment, 133, 179, Contents 9, • Coverage Of The Households Under Previous, Developmentalschemes • Preference Of The Households, For 'In Situ' Slum Development • Bsup In The, Mission Cities Of Kerala • Progress Of Bsup In, Kochi • Progress Of Bsup In Thiruvananthapuram, • Comparative Progress Of Bsup In The Mission, Cities Of Kerala • Challenges Of Bsup In Kerala •, Conclusions, 5. 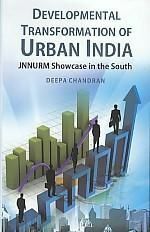 Conclusions And Policy Suggestions, • Jnnurm- At State And City Levels • Progress Of, Urban Infrastructure And Governance (Uig) In, Kerala • Progress Of Basic Services For The Urban, Poor (Bsup) In Kerala • Policy Suggestions From, The Study • Suggestions For Jnnurm (All India, Level) • Suggestions Specific To Kerala, Bibliography, Appendix, Field Survey Questionnaire, Index,.